Wedding anniversaries in India can be of many types. It can be the first anniversary of a newly wed couple of a milestone anniversary of an old couple. Either way there are many ideas for the special day depending on what you really need. Just like a wedding invitation, Yoovite.com gives you a golden opportunity to invite your friends and relatives for your wedding anniversary party. It features an awesome online invitation tool by which it is possible for you to send out online invitations. If you just want to be with your better half without anyone else present, then you can arrange for a nice candlelight dinner. If you are planning a party, then you can invite your close friends and give them food. Arrangement of parties can be done by the couple or by their children or close relatives depending on the type of wedding anniversary you are planning. It is not uncommon for grown up children to hold parties for their aging parents’ anniversary. Wedding anniversaries are not ritualistic as weddings. Hence, people belonging to any religious faith can follow the ideas for wedding anniversaries. A candlelight dinner with a dance can be an ideal setting for a newly wed couple. A background of soft music would set the scene. The dinner can be held in some restaurant as well. Most big hotels have provisions for occasions such as these. If you are planning a party, then also you can choose a good hotel if the number of guests are going to be bigger. Either way, planning is very important. If there are more people, then you can hold some games that are fun. You can also have a dance floor arranged with a DJ. This will mostly be welcomed by young couples than old ones. 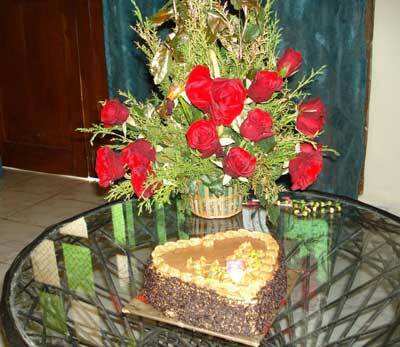 Food and drinks are a part of all marriage anniversary parties. It will be extravagant whether it is a single couple party or a large one. Make sure that you have a multi-cuisine dinner arranged for your guests. You should also hire a bartender in case of drinks. As for anniversary gift, it all depends on your tastes and your partner’s tastes. If you are giving a gift, make sure that you know your partner’s likes, which you ought to know. You can’t control what others give you and your partner on the day. If you are planning a party, then make sure that you put your party plans on the Yoovite invitation so that the guests will know the itinerary of events. Further allow them to suggest things and give wishes for anniversary so that you can make the party even better.